Few Days ago US offered Pakistan RQ-7 Shadow Drones which are very slow and small and cannot attack effectively and US is not ready to provide Better drones to Pakistan. 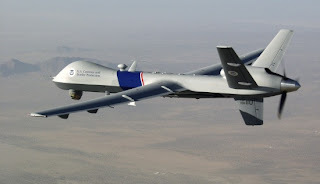 After US denies to provide drone technology to Pakistan Pakistan is talking with Turkish army to provide this technology to Pakistan.Turkey is having good Drone technology and also have good defence cooperation with Pakistan. But Indians are not happy with this development. situation about Afghanistan is already becoming bad for Indians and the news of Pakistan getting Drone technology is worrying them even more. Indians have invested billions for their benefits in Afghanistan and they know well that if Americans and Nato will leave Afghanistan what will happen with them.